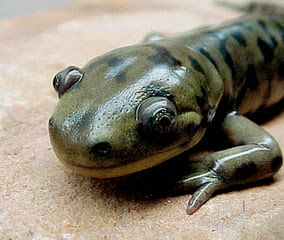 Image credit: An adult salamander from Wikimedia Commons. August 17, 2004. Source: Regenerating Lost Muscle: Msx1 to the Rescue. PLoS Biol 2/8/2004: e266. http://dx.doi.org/10.1371/journal.pbio.0020266.